The most proven and effective way to turn your ideal personas into website visitors, visitors into qualified leads, and leads into customers and promoters of your business and your brand. The first part of the inbound marketing methodology is to Attract. The world of the consumer has changed. You can no longer have your brand interrupting individuals while they are in the middle of something completely unrelated to try to showcase to them how you can do business together. The inbound methodology puts your brand in front of prospects when they are actually looking for what you have to offer to deliver them helpful and meaningful content to help them along the path to purchase. 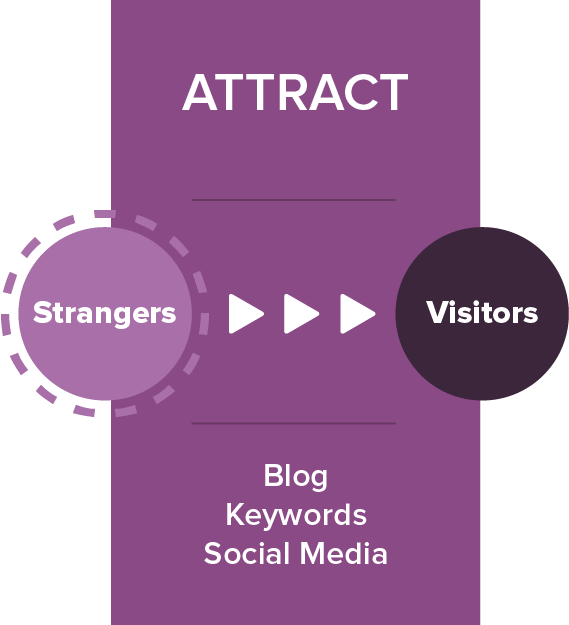 Learn more about the Attract stage in the inbound marketing methodology. Convert is when the work really kicks in. We love the convert stage of the inbound methodology because even though it's a lot of effort, here is where you start to see the rewards of all of your inbound marketing and content marketing efforts. You’ve already enticed your ideal personas to become recurring website visitors, so now you need to convert them into qualified leads by submitting their contact information on your website so they can join your marketing and sales funnel. 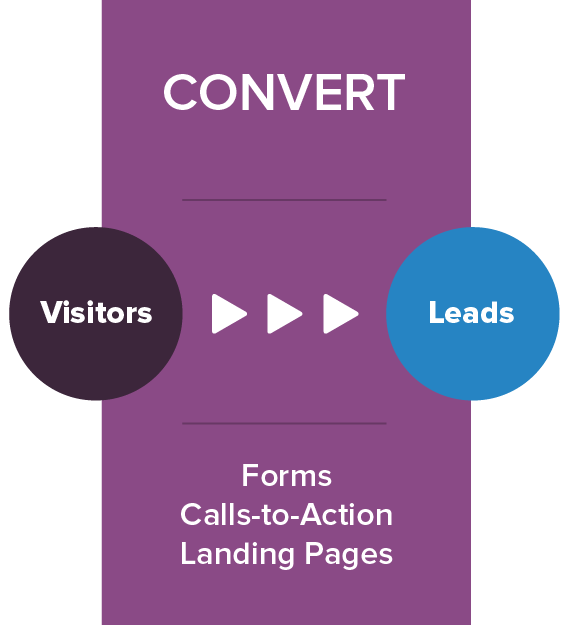 Learn more about the Convert stage in the inbound marketing methodology. The Close stage is absolutely critical. This step means revenue! Closing is where we turn those qualified website visitors and leads into customers. 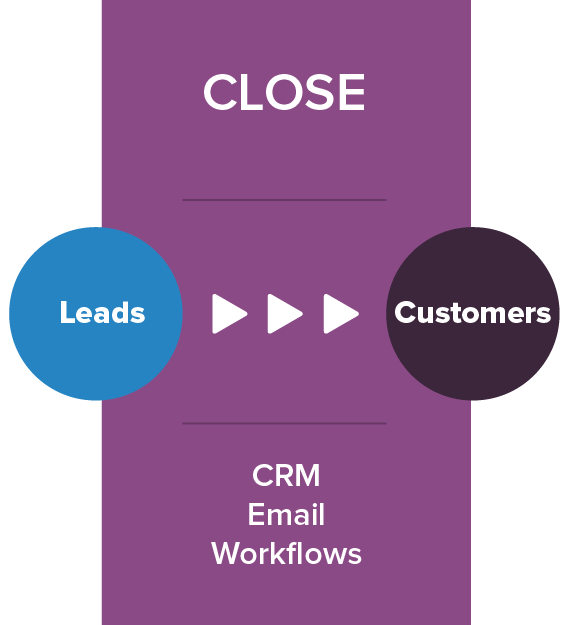 Closing a lead and converting them into a customer can be a long process in many industries as well. Did you know that it typically takes from 7 to 13 touches to convert a lead to a sale? So how can we utilize marketing techniques to help close more customers for your business? Learn more about the Close stage in the inbound marketing methodology. Delight is a very important step in the inbound process, but is often the most overlooked. As you know, inbound marketing and inbound selling is all about providing remarkable content to your leads and customers. Just because someone has signed a contract with you, or purchased your products, doesn’t mean you can forget about them. That's actually the worst thing you can do! Inbound companies continue to engage with, delight, upsell, and grow their current customer base into happy promoters of the organizations and products they love. 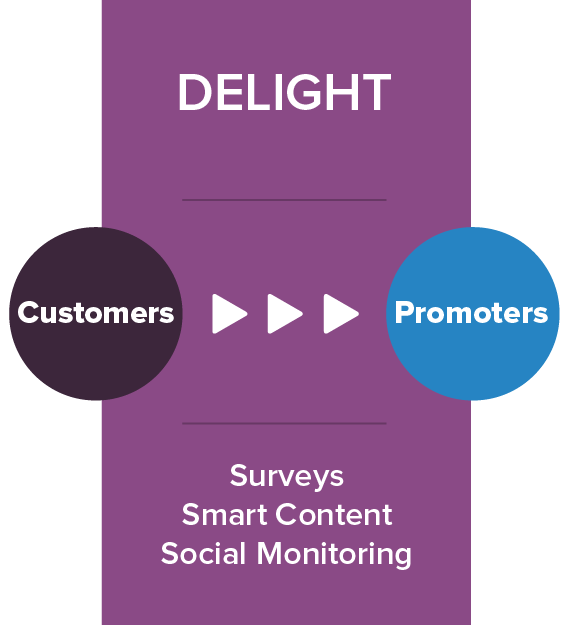 Learn more about the Delight stage of the inbound marketing methodology. Are you looking to get started on inbound marketing, or do you need to take your digital marketing to the next level? Schedule a complimentary inbound marketing consultation with our team of experts to help you see how you can maximize your marketing efforts.